Is your job causing hearing loss? Your hearing is an incredibly valuable asset in the workplace. Unfortunately, some workplace environments may be more damaging to your eardrums than others. The National Institute for Occupational Safety and Health estimates that 22 million US workers are exposed to potentially dangerous levels of noise in the workplace each year. Unhealthy noise levels are one of the most common causes of hearing loss, and can lead to shocking statistics in some occupations. If you work in one of these six loudest workplaces, you may want to consider the effects your work environment may be having on your hearing. Hearing loss is the most commonly recorded occupational illness in manufacturing, accounting for 1 in 9 recordable illnesses. The reasons behind these staggering numbers are obvious, with all the large and loud machinery in this line of business. And this problem is all over the nation. Manufacturing is one of the largest industries in the U.S., which means hearing loss can spread rapidly. In fact, a study in Michigan reveals that more than half of all cases of permanent workplace hearing loss is caused by the manufacturing sector. 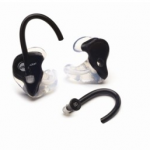 Learn about Personalized Hearing Protection for Manufacturing Companies. Miners and carpenters are particularly affected due to a similarly noisy tool set, as the next couple of graphs can attest. Many common carpentry tools can be hazardous to your ear health. Traveling on a motorbike beyond 50mph, can expose the driver to up to 90dB of noise under the helmet. The maximum recommended exposure limit at this level is 2.5-3 hours at a time. While slow city traffic might be more manageable, it’s more the day-in/day-out exposure, as well as longer travels on open roads that do the damage. Courier or no courier, all bikers can be affected. 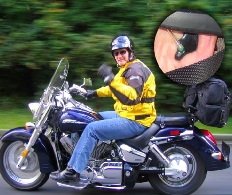 Learn how bikers can protect their hearing. All that hubbub can hurt your ears. Loud music is one of the most common causes of hearing loss. Employees at bars, nightclubs, or concert hallsmight be enduring dangerous sound levels every night of the week.Most nightlife hotspots operate at levels well above 100 dB, which means the mood music may be doing some mega damage. Bartenders, performers, and security should all be well aware of these dangers, and seek out special earplugs specifically made for musicians. This also goes for rock stars. 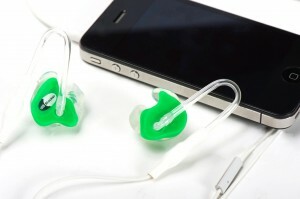 There are available hearing protection for individuals and musicians. If you have ever taken a look at an airport runway, you may notice the brightly colored ear protection worn by airport traffic directors. These are not just a fashion statement, but indeed a necessary precaution. The sound of a jet engine is one of the loudest auditory occupational hazards, with sound levels at a shocking 140dB. Sound waves are invisible, but at this level, they pack a whopping force. 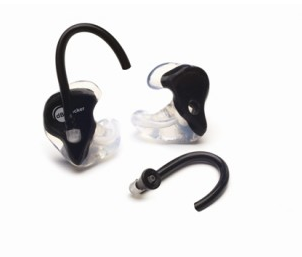 You can find the appropriate hearing protection for Airport and Security staff. Guns and other firearms are loud, ask any military veteran. Shooting range marshals, if not carefully protected with heavy duty on-ear protectors or custom made ear plugs, can be exposed to up to 140dB of noise exposure during any given day. One more reason to think twice about that next excursion to the shooting range or hunting trip. Fortunately, there are many preventative measures in order to mitigate the effects of workplace-induced hearing loss. 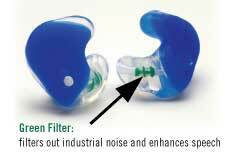 Appropriate ear protection, in addition to the right diet, can keep your hearing health top-notch. And as always, Audicus is here to keep your hearing at its very highest…. and discreetest. Learn More hearing loss in the Shooting industry. Article by Patrick Freuler. Read original article here. I was passed this article from the McClatchy Washington Bureau about addressing “the dollar and sense of addressing hearingloss in the workplace.” It really appealed to me as I work with a company that manufactures the “Smartest Hearing Protection in the world’– Custom Protect Ear (CPE). CPE are known as the hearing conversation specialists that have been exploring ‘the business cost of noise’. Recently I have learned (and much to my surprise) that many companies bottom line is directly attributed to safety & health program initiatives. After looking at the stats I was surprised to find that $310 per year/per employee are put toward hearing conservation programs and that does NOT include the other costs of noise, which happens to be another $3,750 per employee/per year more. Click here to see the calculation. – The majority of people with hearing loss are still in the workforce. That’s more than 20 million Americans. – Workers with hearing loss are five times more likely to take sick-days due to severe stress than their co-workers without hearing loss. Perhaps this is because most people with hearing loss don’t get tested and treated. – Hearing loss is linked to a three-fold risk of falling among working-aged people (40 to 69) whose hearing loss is just mild. Falls and fall-related injuries cost billions in health care costs in the United States each year. – Unaddressed hearing loss often leads to isolation, anxiety, and depression. For employers, the estimated annual economic burden of depression, sadness, and mental illness is $348.04 per employee. More absences from work are due to depression, sadness, and mental health issues than from any other illness. – Hearing loss is linked to heart disease. Some researchers even hypothesize that hearing loss could be an early warning against heart disease — America’s number one killer — potentially presenting an opportunity for early intervention, better outcomes, and contained health care costs. Heart disease is a huge expense for American businesses, tallying $368.34 per employee per year when averaged across all employees. – People with untreated hearing loss lose up to $30,000 in income annually, depending on their degree of hearing loss. That’s a loss to society of $26 billion in unrealized federal taxes; and an estimated aggregate yearly income loss of $176 billion due to underemployment. – People with hearing loss who do not use hearing aids are nearly twice as likely to be unemployed as their peers who use hearing aids. Moving people to acknowledge and address their own hearing loss has long been an uphill battle, largely due to the fear that people have of growing or appearing old. And because most hearing loss progresses gradually — and is not acutely life-threatening — people tend to put off dealing with it. Too often, people ignore their hearing loss for far too long, allowing it to take its toll on their quality of life, cognitive function, mental and physical well-being, relationships, and their effectiveness and opportunities in the workplace. Unfortunately, fewer than 15 percent of people are screened for hearing loss by their doctors during their annual physical exams. For both workers and employees, the stakes on hearing health are high. Over the past generation, hearing loss grew at 160 percent of the U.S. population growth. We now live in an age in which MP3 players, ear buds, and loud recreational activities abound. What was once considered age-related hearing loss is being seen more frequently at younger ages. American workers are losing their hearing earlier on in their careers. And America’s baby boomers are aging. What’s more, as global financial conditions remain uncertain, people are staying in the workforce longer, delaying retirement. The financial and human resource risks of leaving hearing loss unaddressed in the workplace have never been so high. The good news is that the vast majority of people with hearing loss can be helped with hearing aids. Quality of life improves for three out of four who use hearing aids. And for people with milder hearing loss, studies have shown that the use of hearing aids reduces the risk of income loss by 90 to 100 percent, and from 65 to 77 percent for those whose hearing loss is severe to moderate. We know from experience that good communication enhances performance, productivity, job satisfaction, and results. Simply put: Unaddressed hearing loss is an unnecessary and not insoluble barrier to good communication. Dr. Sergei Kochkin is Executive Director of the Better Hearing Institute in Washington DC. He can be reach by email at skochkin@betterhearing.org. Laurie Wells, Au.D., Manager of Audiology for Associates in Acoustics, Inc., received the Michael Beall Threadgill Award during a ceremony at the annual conference of the National Hearing Conservation Association (NHCA). This award, established in 1985, recognizes an individual whose committed leadership and insight has furthered the NHCA’s mission of preventing hearing loss from environmental factors in all sectors of society. Over the past two decades, Dr. Wells has been strong proponent of hearing conservation, both within and beyond the NHCA. Dr. Wells has represented the American Academy of Audiology on the Council for Accreditation in Occupational Hearing Conservation (CAOHC) since 2007; currently, she is the Vice-Chair of Education for CAOHC. She has provided occupational audiology services to local employers while employed at the University of Northern Colorado Speech-Pathology and Audiology Clinic. Her efforts are by no means confined to the United States: she has provided hearing conservation education and implementation in Belgium, China, Czech Republic, France, Hungary, India, Spain and the West Indies. In 1999, Dr. Wells accepted the role of Secretary on the NHCA Executive Council; she remained on the council for the next seven years, serving as Vice-President, President-Elect, President, and finally Past President in 2007. During this time she planned and participated in multiple NHCA Excellence Seminars, acted as Program Chair for two consecutive conferences, contributed to and served as Associate Editor for the NHCA Spectrum, and served on multiple task forces within NHCA. “Dr. Wells has selflessly donated her time and energy to our organization, and to the cause of hearing loss prevention. She exemplifies the ideals of the NHCA with her dedication,” said Laura Kauth, NHCA President and Chair of the Nominations Task Force. Dr. Wells was also recognized as the 2011 Outstanding Lecturer for her thought-provoking presentation at the 2011 conference, titled “From Here to There to Hear”. The mission of the NHCA is to prevent hearing loss due to noise and other environmental factors in all sectors of society. NHCA provides networking, resources and professional development opportunities to improve skills, practices, and services in hearing loss prevention. NHCA’s membership includes audiologists, researchers, industrial hygienists, educators, professional service organizations, safety professionals, medical professionals, engineers, audio professionals, students, and others who have dedicated their work to the advancement of hearing loss prevention. For more information about the National Hearing Conservation Association, visit the NHCA online athttp://www.hearingconservation.org/ or call 1-303-224-9022. Follow the NHCA on Twitter, on Facebook, and on LinkedIn. For a second year, the National Institute for Occupational Safety and Health (NIOSH), in cooperation with the National Hearing Conservation Association (NHCA), is excited to announce a dedicated supplemental issue of the International Journal of Audiology. The issue highlights research presented at NHCA’s 36th Annual Conference in February 2011. Additional support from this endeavor was provided by a grant by the Oticon Foundation, and financially underwriting by ASI Health Services; the Council for Accreditation in Occupational Hearing Conservation (CAOHC), Etymotic Research Inc., HCI Hearing Conservation, Inc., HTI Inc. Mobile Audiometric Services, MED Compass, Mimosa Acoustics, and MobileEar Inc. Visit informahealthcare.com/toc/ija/51/S1 to view the special supplemental issue. The 2012 Safe-in-Sound Excellence in Hearing Loss Prevention Awards™ will be presented at the 37th NHCA Annual Conference in New Orleans on Friday, February 24th, 2012. For information on the conference please go to www.hearingconservation.org . Nominations for the next round of awards will be accepted until September 1st, 2012. For further information please visit www.safeinsound.us. See the dB Blocker “All Sport” at the Motorcycle show. All Sport™ Fidelity stereo sound from your digital music player or bike sound system. All Sport™ lets you hear the full range of your recording even at highway speeds. For the rider who wants to listen to their digital music player or radio, All Sport™ is the ideal way to take your tunes on the road. All Sport™ is a headset that connects to your digital music player and is specially designed to work in the harsh environment bikers endure. Wind noise, bike rumble, and traffic sounds compound to make listening to radio or music a challenge while riding. 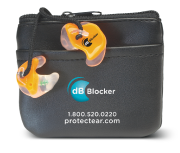 Custom Protect Ear has found a solution.All Sport™ uses dB Blocker® ear pieces giving you extremely comfortable isolation from wind noise, bike growl and the quality music sounds of specially tuned dual stereo transducers. The sound reaches the protector through sound tubes that pass over the ear. This over-the-ear design allows for use with either full face or 1/2 shell helmets. It also allows for your All Sport™ to be easily repaired if you damage them. 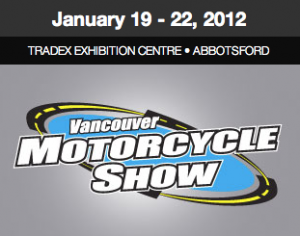 Plus come see out Booth at the Edmonton Motorcycle Show Jan 13th – 15th, 2012. Come see us at the Edmonton Expo Centre – Booth #818. Check out the Custom Protect Ear booth at this year’s Vancouver Motorcycle show. Connect PhoneBuddy™ to your dB Blockers. Surrey British Columbia, November 14th, 2011. Custom Protect Ear launches the The PhoneBuddy™, headphones that are compatible to dB Blockers and work with many Smartphones. The headphones, “The PhoneBuddy™” are available in two versions; the single and the dual. PhoneBuddy™ I is a single version headphone for monaural use (phone calls and to just hear the phone ring in noise). The unit works with virtually any smart phone and has an inline microphone and flash button for answering the call and hanging up. “A BIG PLUS is you can connect your PhoneBuddy™ into your dB Blocker Convertible vented protector and hear the phone ring in noise. You still have to move to quieter places to have a conversation but you won’t miss the call, says Custom Protect Ear’s President, Jeffery Goldberg. PhoneBuddy™ II is the stereo version. With PhoneBuddy™ II you can listen to music and answer your phone calls on most Smartphones. It also has an in-line microphone with a flash switch. When a call comes in, the phone will ring in the earpiece and the user simply switches online pokies to the phone by pressing the flash switch. When the call concludes, the user presses the flash switch again and the music resumes playing. What makes PhoneBuddy unique is the sound quality and the ability to use it with more than one Smartphone. 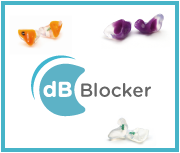 PhoneBuddy™ II also connects to dB Blocker Convertible vented protectors for use in a noisy work environment. PhoneBuddy™ I sells for $69.00 retail with discounts for commercial users. PhoneBuddy™ II sells for $125.00 retail also with discounts for commercial users.